Throughtout the scriptures, Christ instructed his disciples, and those who would be his disciples, to "Follow me." To forsake their own ambitions and desires, and make their will His will. To be led by Him in all that they are and do. He Leadeth me takes the listener through the struggles of becoming a true follower, to the joy and peace we will find as we strive to follow Christ. 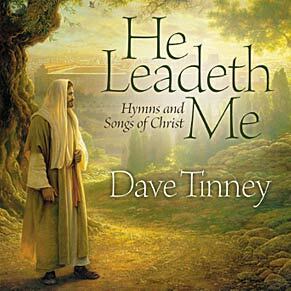 He Leadeth Me includes new arrangements of familiar hymns and songs, introduces some hidden jewels, and features two poignant new songs.